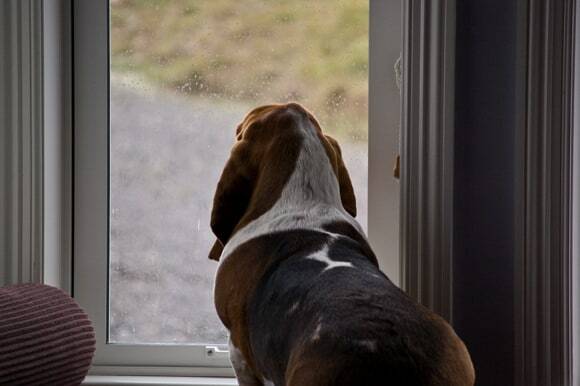 Even bassets can get fed up with rain. 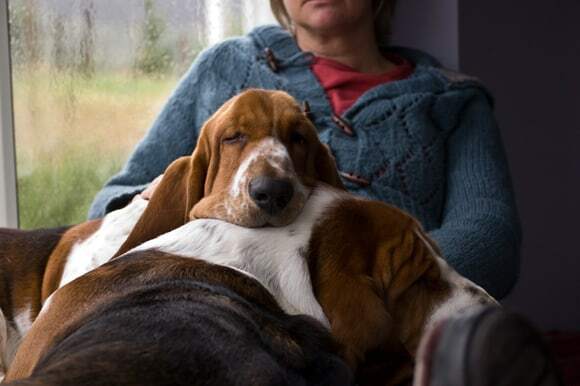 This is a familiar basset pose of late. Sitting with their nose pressed up against the window hoping that rain would go away. I know how they feel. It is however the perfect excuse for spending excessive amounts of time in the favourite seat in the house. When things are wet outside there is nothing better than sitting with others. In the case of Mason he loves to climb into your lap for a neck rub or to stake his claim as top dog. If you’re not careful you can find yourself pinned the window seat even if you didn’t want to be. 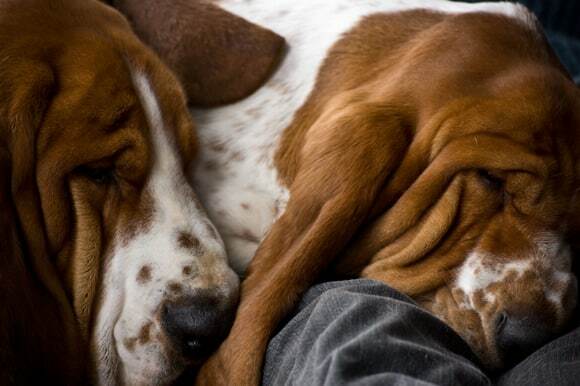 Bassets that want to huddle together. 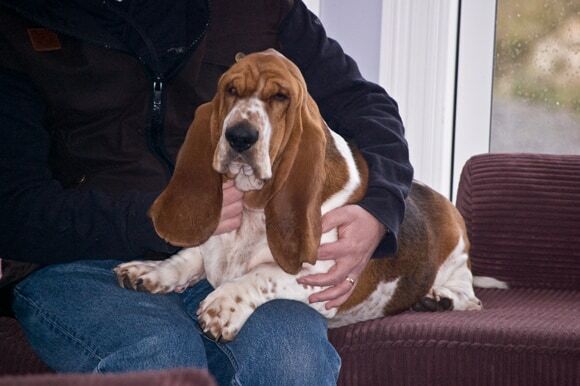 Who am I to deny my rain depressed bassets a bit of love. The fact that being pinned down was a perfect excuse to settle down to listen to this week’s omnibus of the Archers has nothing to do with it. After all when it’s cold, wet and windy there is nothing better to warm your soul that listening to everyday tales of country folk. 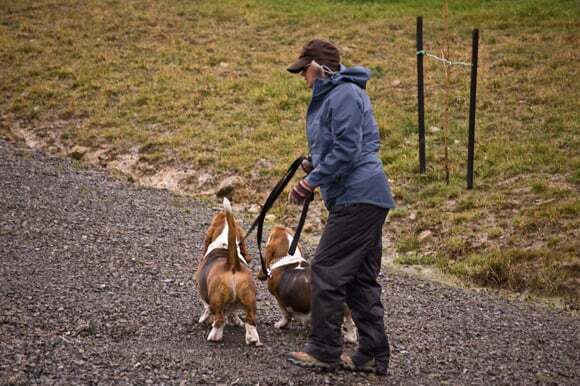 After all you need to galvanise mind, body and soul to venture out in a southerly to take the bassets for a walk. That and a lot of layers to keep out the cold and wet. Not the most fashionable look but nevertheless effective. It’s been raining almost non stop for over a week now. At least the trees are getting a good watering and the water tank is overflowing. Those are the only good reasons I can think of at the moment. By all accounts the impact on the weather has been felt by everyone across New Zealand. Ferry crossings were disrupted with 13m swells. The wind was so strong there were even waves on the water reservoirs down the hill. Still, we’ve been toasty warm inside which is just as well since I’ve been feeling right under the weather – no pun intended! Defintely sounds like the sort of weather to curl up indoors with a book or the radio. We’re Radio 4 listeners and Peter is a bit of an Archers fan, I don’t have the time to listen but he fills me in with the gormless goings on of the Grundys and the dastardly doings of evil Matt. We reckon he’s going to leg it to Romania leaving Lillian with no cash to pay for her beauty treatments and designer clothes. I do hope you feel better soon and that the sun makes an appearance. At least your house is warm which I understand is not the case with all NZ homes. We’ve had some very cold homes where we had to wear coats or at least extra jumpers indoors but it is nice to be able to turn the central heating on. I did think this might be a post about wine when I saw it in my RSS feed. But, of course, it’s about the dismal weather. Luckily, we spent the weekend frequenting hot pools in Taupo. I keep forgetting that you’re on the bottom half of the world. It’s a toasty 90 degrees here in Florida, but I’d rather it be 60 or so. Stay warm!! 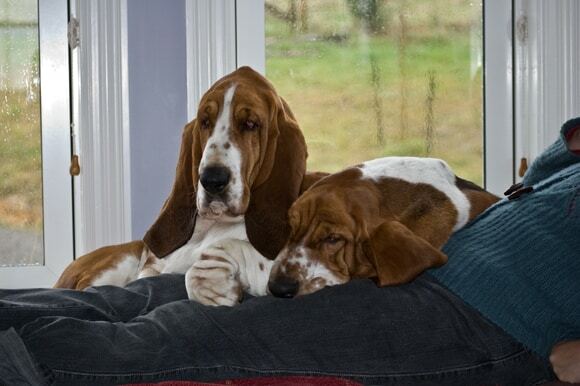 I love the basset huddle/cuddle and I’m jealous that I didn’t get to take part. It looked quit peaceful, just you and the boys relaxing in your special seat! !